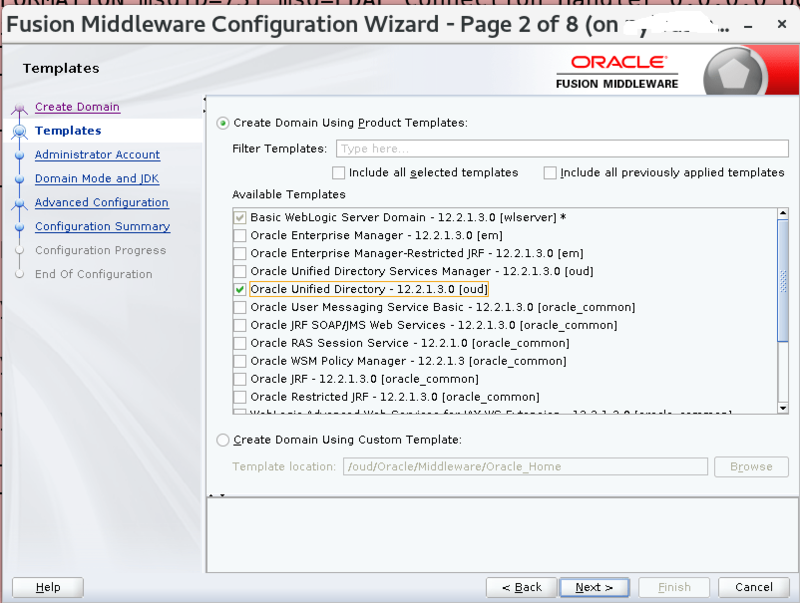 Below I am going to show you how to upgrade Oracle Directory Services Manager(ODSM) / 11g To Oracle Unified Directory Services Manager(OUDSM) / 12c in just a few simple steps. 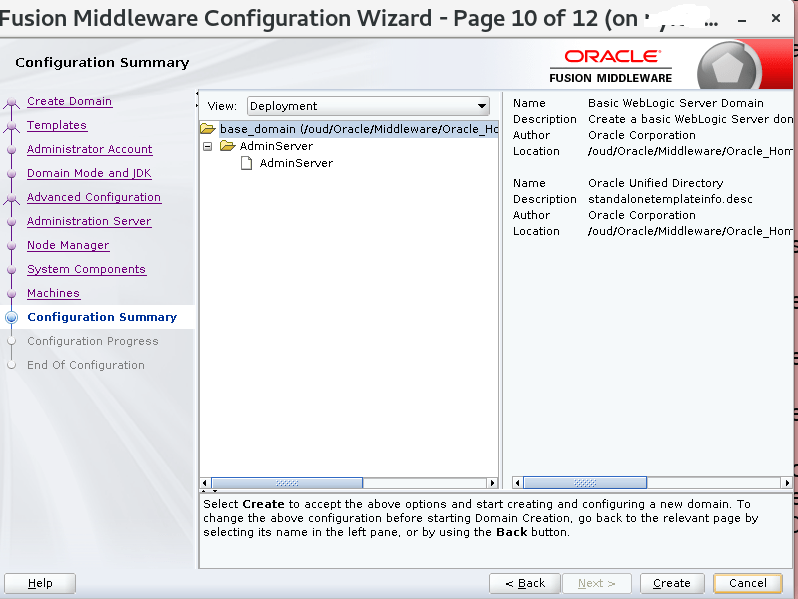 Note: A fresh ODSM 11g installation is available here – Installing Configuring OUD, ODSM and Oracle DIP. More details about OUDSM is available here. TIP: Before you start, please make sure to create a backup as thinks do happen and something can go wrong. First, you need to download the latest Oracle Unified Directory(OUD) software, which is as of this writing – 12cPS3 (12.2.1.3.0). You can download the software here – scroll down to about the middle of the page (or you can download the file from Oracle OTN network / e-delivery). You can get the Oracle WebLogic Server 12cR2 (12.2.1.3) here. 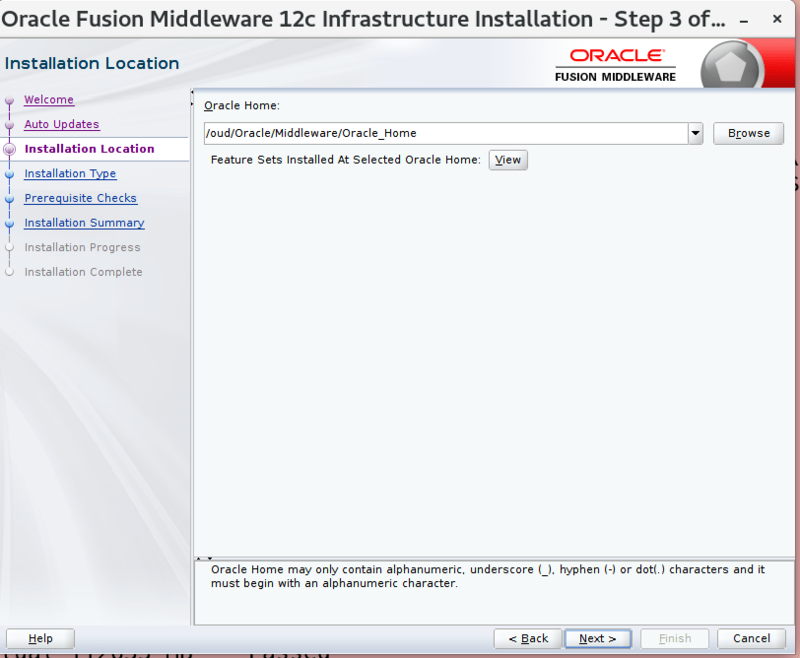 Note: Make sure to select in the download list – Fusion Middleware Infrastructure installer (about 1.5GB). 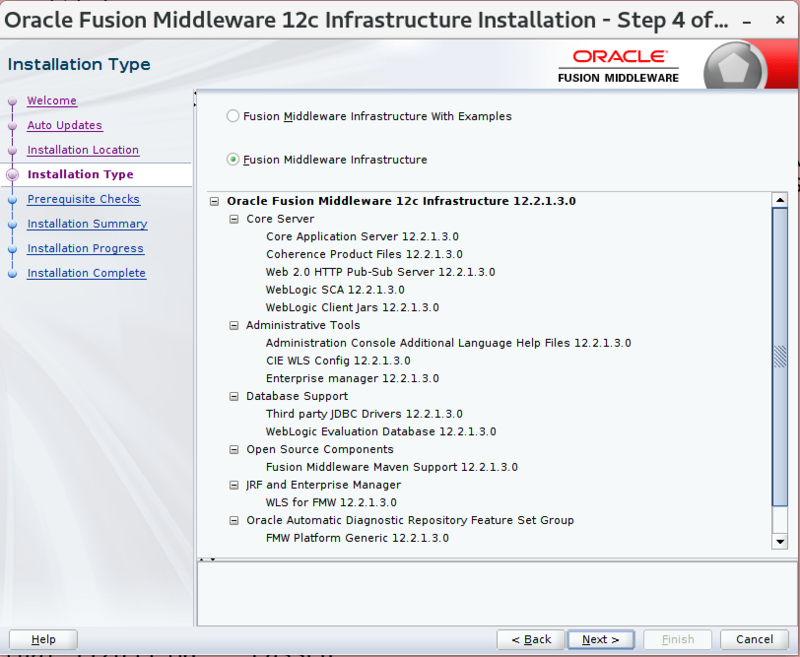 Next, we are going to extract the Fusion Middleware Weblogic software. The download file will be called something like fmw_12.2.1.3.0_infrastructure_Disk1_1of1.zip. You will now have an extracted file called fmw_12.2.1.3.0_infrastructure.jar. Optional: If you are running OUD on Solaris it is good idea to just create a BE to be able to easily rollback. TIP: Now is the time to disable any OUDSM/OUD alerts i.e. SMTP alerts, you can easily do so with the ODSM/OUDSM console. Before you continue, we need to stop the OUD instance, you so by running the below. One of the OUD/OUDSM 12c requirements is to use Java 1.8. so we make sure to install and set java 1.8 as your OUD running environment i.e set the JAVA_HOME. To install java 1.8 on Solaris just run the below (if you are on Lunix, just use apt-get, yum, dpkg,etc.. to install, or manual install). Note: Don’t run this while the instance is still up. as the existing 11g uses Java version 1.7 and this will change/update the default systems java version. TIP: Its a good idea to add/set the environment with the below updates. Add something like the below to your .bashrc to the OUD running user. Source in your new changes, then verify the proper java version is set, by running the below. We are now ready to install / upgrade OUDSM from 11g to 12c. Start by running the below. Select > Skip Auto Updates. Select > install without samples. Click next > let prerequisite checks complete. Click next > let installation complete. We are now ready to install / upgrade OUD from 11g to 12c. Follow all steps in this post to upgrade OUD from 11g to 12c. 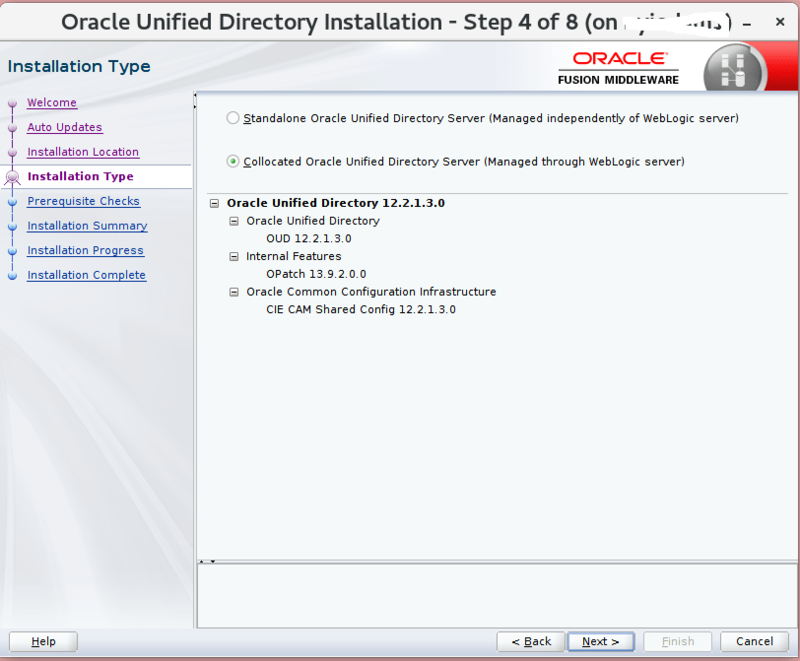 Note: When you install OUD make sure to select Collocated Oracle Unified Directory(this is only needed for OUDSM / OUD not for a simple OUD installation), screen shot below. Note: Make sure upgrading OUD from 11g to 12c before you continue as this is absolutely required. Note: It is Oracles preferred method to have separate domain for OUD and OUDSM. 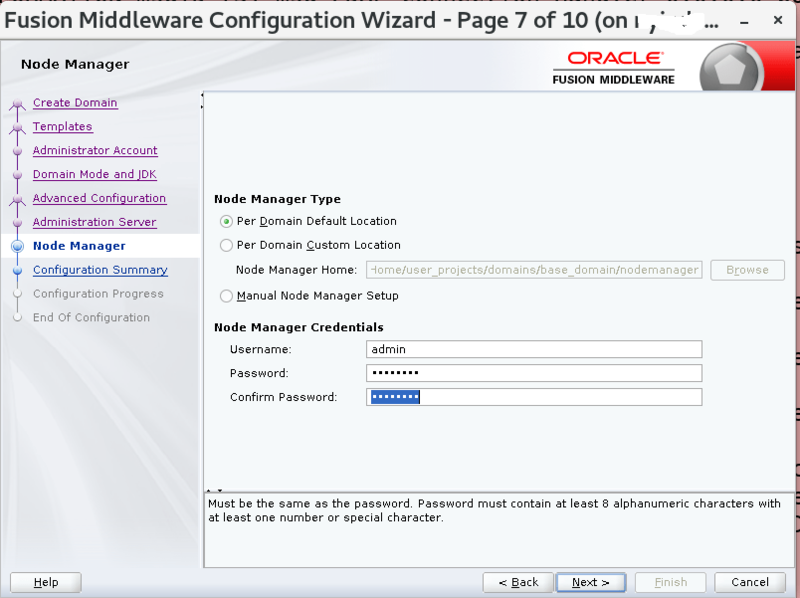 If you select to create [oud] and [oudsm] domain in the same weblogic instance, an rcu tool and Oracle DB will then be required to completed the configuration. 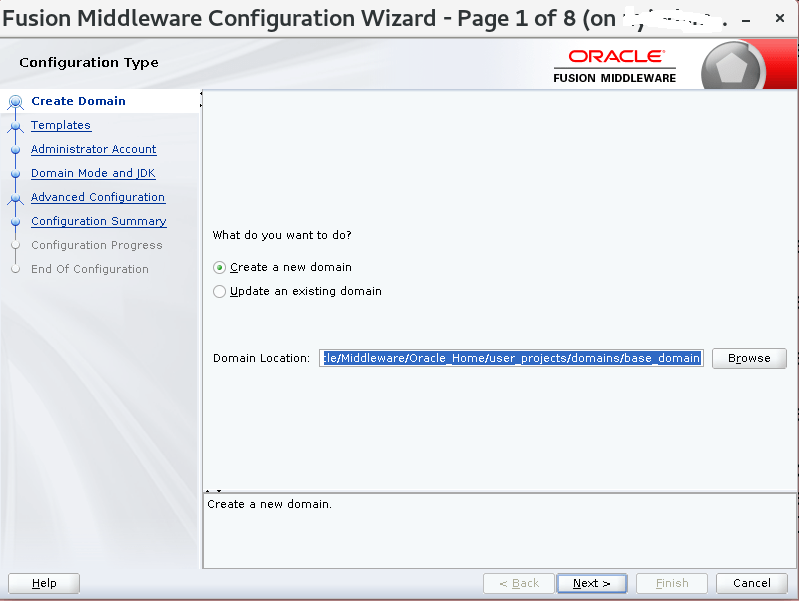 Start the weblogic configuration utility by running the below. Check the box next to [OUD] only (not [OUDSM] unless you plan to use an Oracle DB (not the preferred oracle method)). 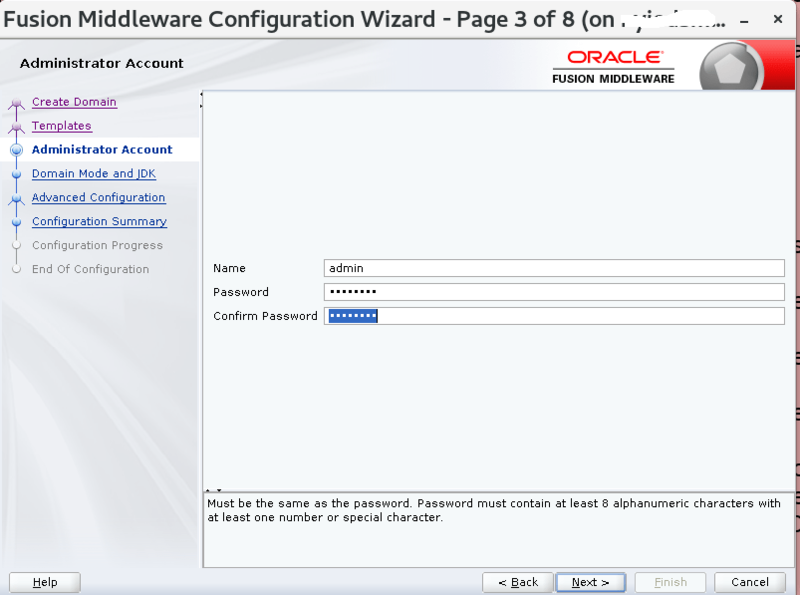 Change (from weblogic) user to admin, and enter a password (you can leave weblogic if you like that up to you). 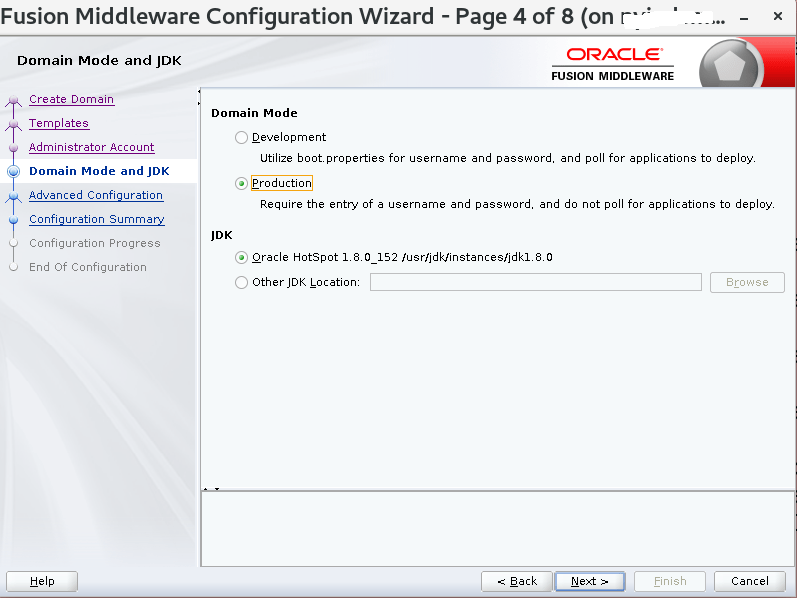 Change selection to production mode and for jdk leave the default (Oracle Hotspot). Under Node Manager type, select, per Domain default Location, and type a user/password. user will be admin and your password. Wait till the configuration is completed, then click finish. Next, we need to create and OUDSM domain. 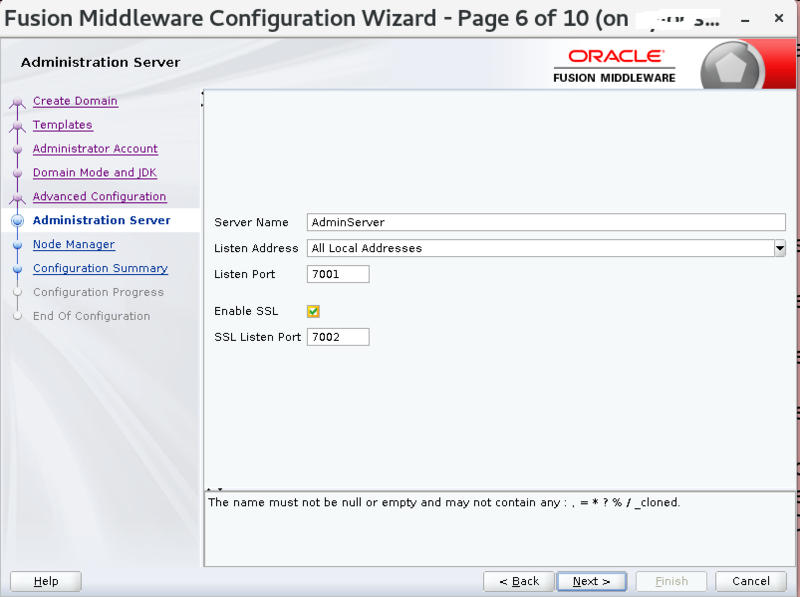 Run the below to create an OUD/ODSM domain. Note: Replace with your weblogic user name/password. Please be patient as it might take some time to complete. Hit CTRL+d to exit wlst utility. Create a boot.properties to be able to start weblogic without typing as password, by running the below. Note: You are only required to start the NodeManager and OUDSM domain for OUDSM console to work(not the OUD domain), if you do start the OUD domain you will have to change the port(s) from 7001/7002 to not get a port conflict. Finally create / update your startup scripts. su - oud -c "/oud/Oracle/Middleware/asinst_1/OUD/bin/start-ds"
su - oud -c "cd /oud/Oracle/Middleware/Oracle_Home/user_projects/domains/base_domain/bin ;nohup ./startNodeManager.sh &"
#su - oud -c "cd /oud/Oracle/Middleware/Oracle_Home/user_projects/domains/base_domain/bin; nohup ./startWebLogic.sh &"
su - oud -c "cd /oud/Oracle/Middleware/Oracle_Home/user_projects/domains/oudsm; nohup ./startWebLogic.sh &"
echo "Killing weblogic java process"
su - oud -c "/oud/Oracle/Middleware/asinst_1/OUD/bin/stop-ds"
Finally run the below to start OUDSM. it might take a while to come up, to watch progress. wait till you see a line contain RUNNING. somthing like the below. To access the console just go to, after logging in you should see something like the below. Note: Remember to re-enable SMTP alerts (if disabled). 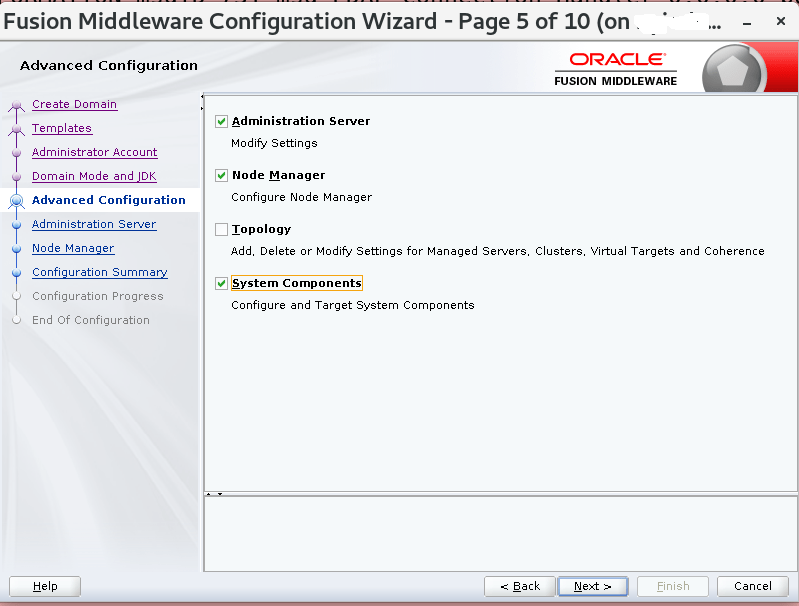 Installing Configuring OUD, ODSM and Oracle DIP. 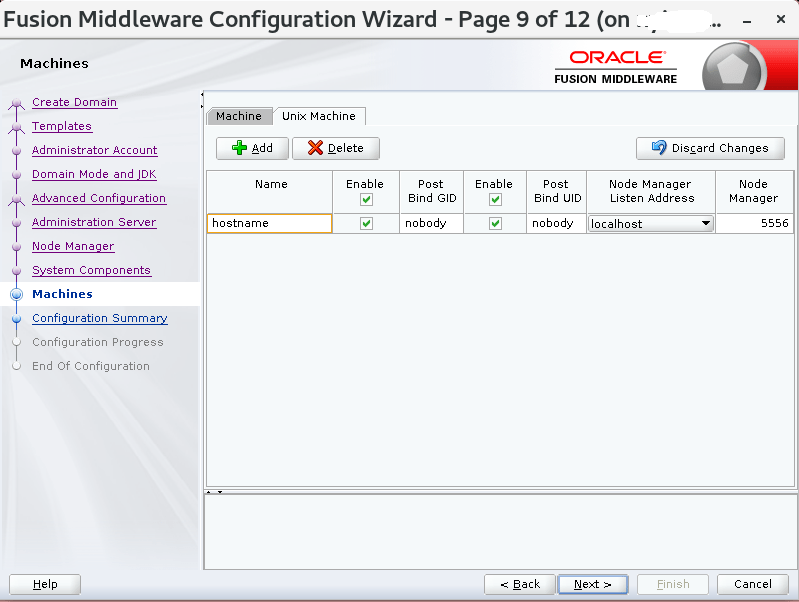 Oracle ODSEE to OUD Directory Replication or Migration.